K&G Marine specializes in the customization and fabrication of all types of railings. 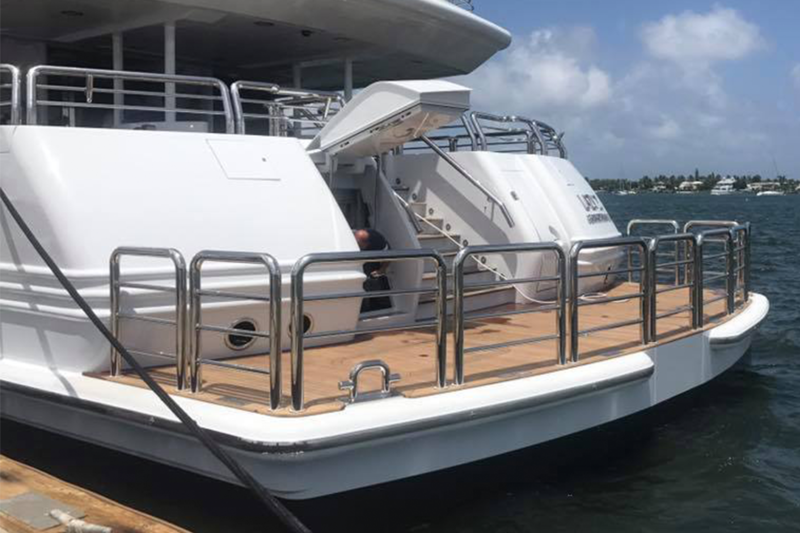 Whether it is your yacht, boat, or even your home, our team is highly trained to bring to life, the railings you have been dreaming about. Here at K&G Marine, we understand that not all boats are the same. A ladder might function perfectly in one vessel, while failing in another. This is why we specialize in the customization of ladders for vessels of all shapes and sizes. Not sure of what ladder would work best on your boat? We can help with that too. With over 25 years of experience, it is safe to say that we will can help you achieve your desired look, along with the also desired comfort and safety. Here at K&G Marine we share many things with our customers, including a love for the sea, and all it has to offer. We understand the frustration that might come about when there is a lack for rod holders, or storage. This is precisely why we pride ourselves in the customization of pulpits and finishing rod holders. We know your time in the water is limited, so when you do have it, it has to be perfect! Aluminum is light, strong, corrosion-resistant, non-sparking and weldable. This incredible metal is also abrasion-resistant and can be cut with carbide tools. As a result, it is a widely used metal when building any type of vessel, and any part of a vessel. 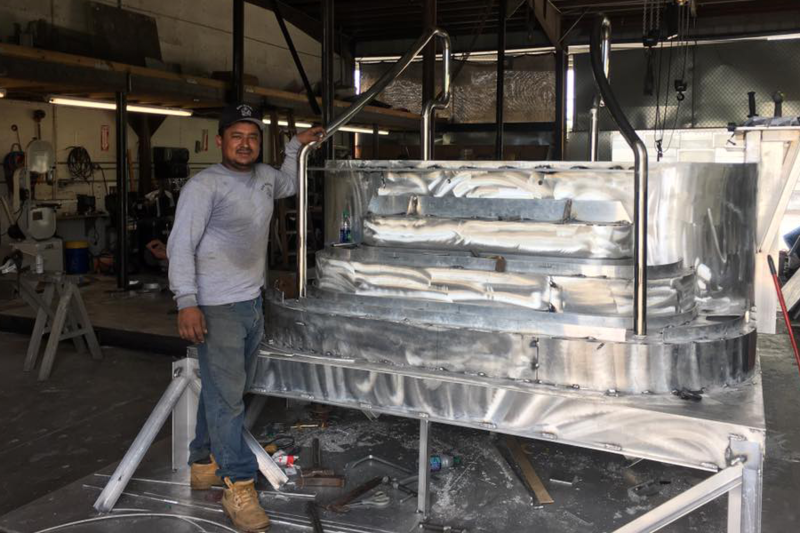 K&G Marine specializes in the customization and fabrication of aluminum structures for vessels, yachts, and boats. Sometimes you simply need a little more room to move. No judgement here! 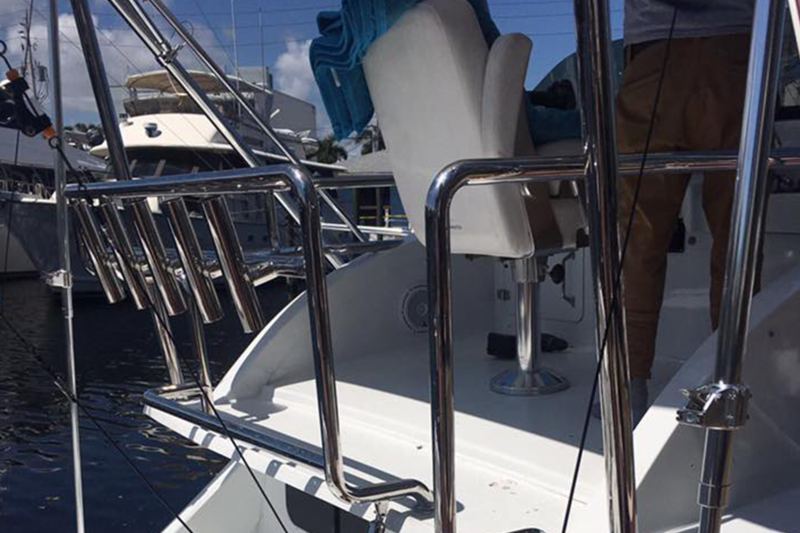 Here at K&G, we specialize in adding a little more space to your boat, yacht, or vessel. Whether it be for a growing family, room for entertainment, or simply because you want to walk a few extra steps, our team is ready to give you the extra space you need. The hull is the framework of your vessel, and as such, it comes very high in the list of priorities for your boat. Thus, K&G Marine specializes in the reparation of these important structures. 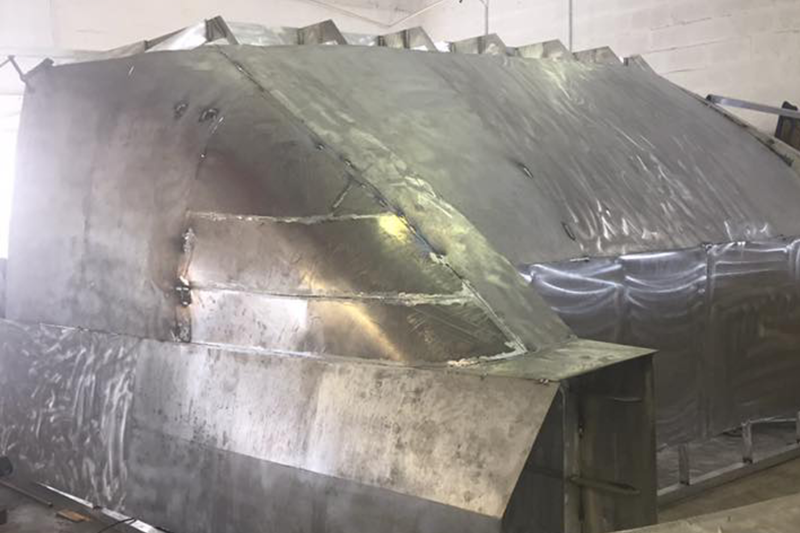 It is your hull’s job to protect you and those on your vessel, and K&G Marine makes sure that your hull gets the TLC it needs to do just that.